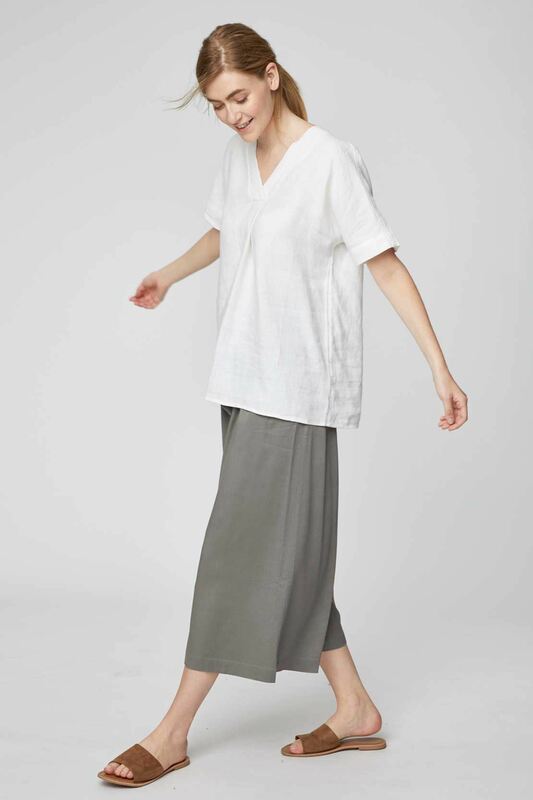 In a smooth, luxe blend of Modal and bamboo, Thought's flattering paper bag waist trousers are beautifully simple. They feature wide, cropped legs and practical pockets. In a smooth, luxe blend of Modal and bamboo, Thought's flattering paper bag waist trousers are beautifully simple. They feature wide, cropped legs and practical pockets. Pair these Modal trousers with a white tee for a minimal, contemporary look.